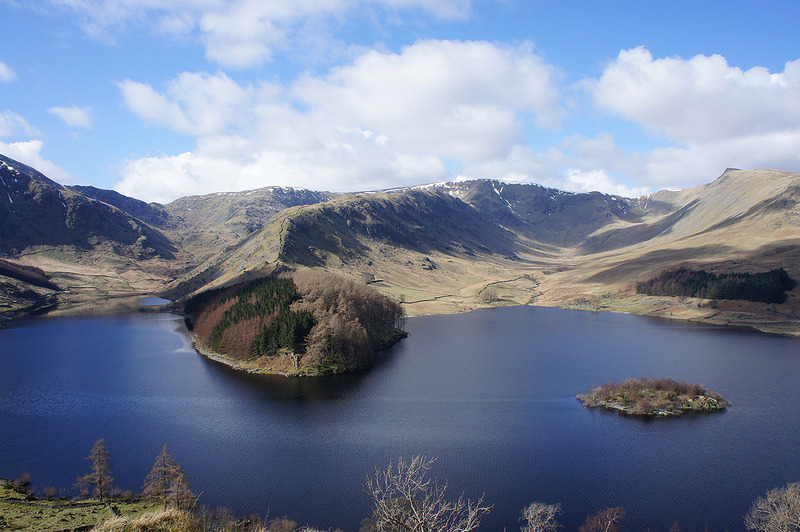 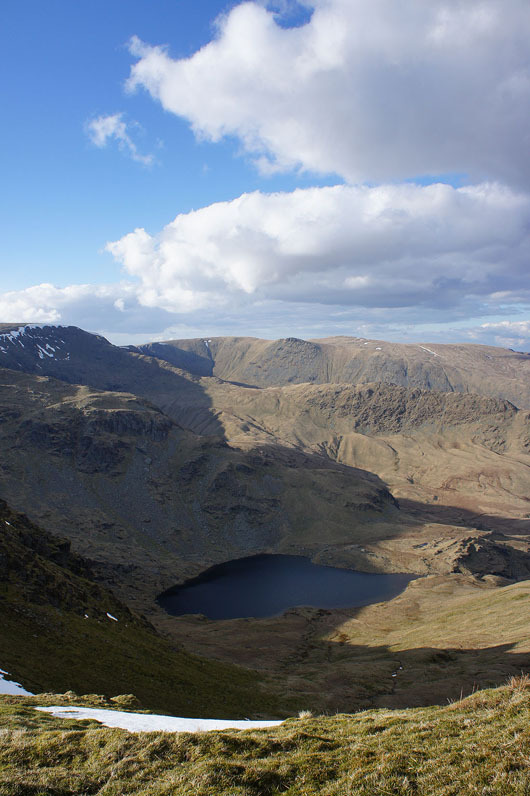 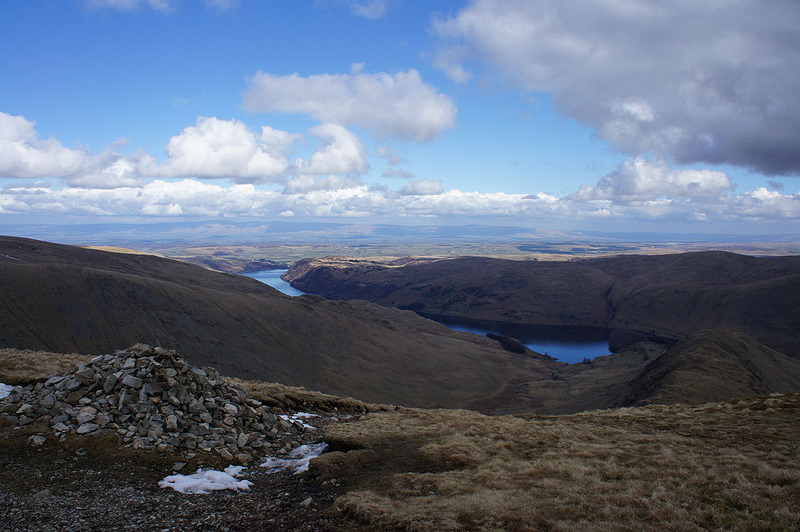 There's a fine spring day forecast so I decided to head for the Lake District to do a walk from Mardale that would tick off a few more Wainwrights for my second round. 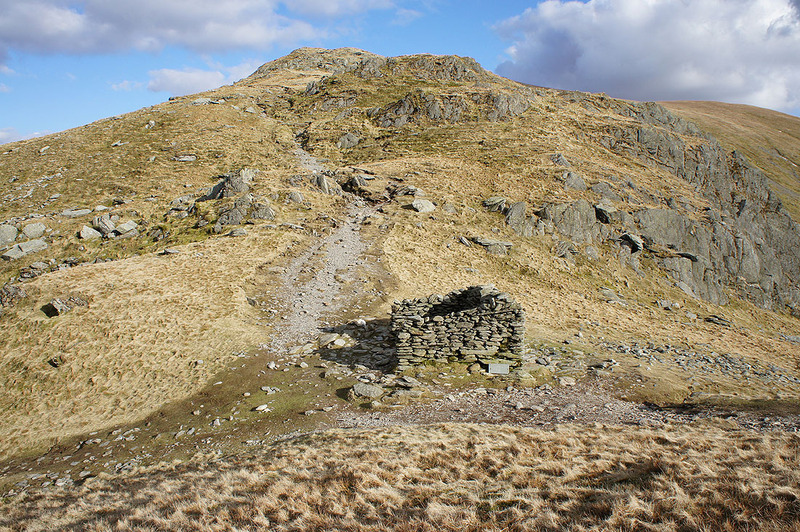 What was surprising is that had been more than two years since I last walked in the area, back in November 2012, just three weeks before I completed my Wainwrights. 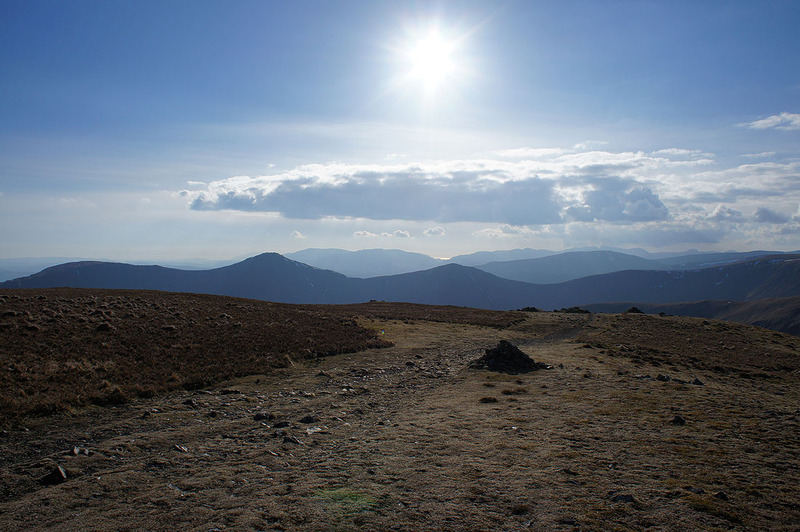 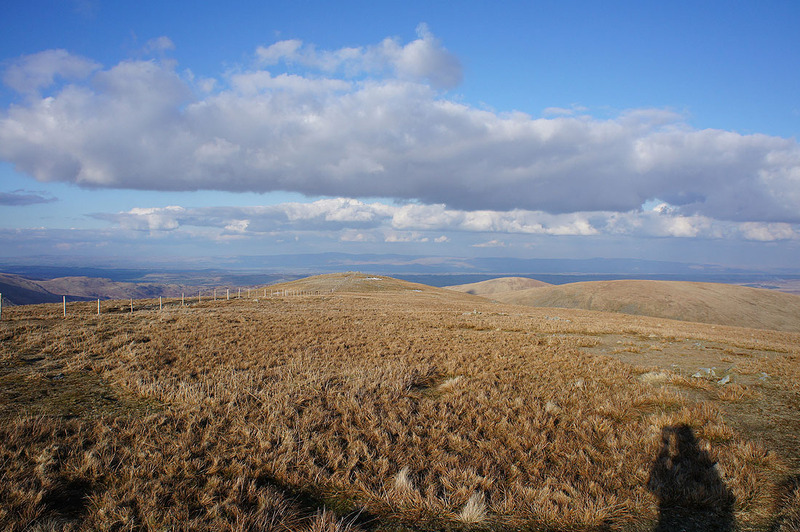 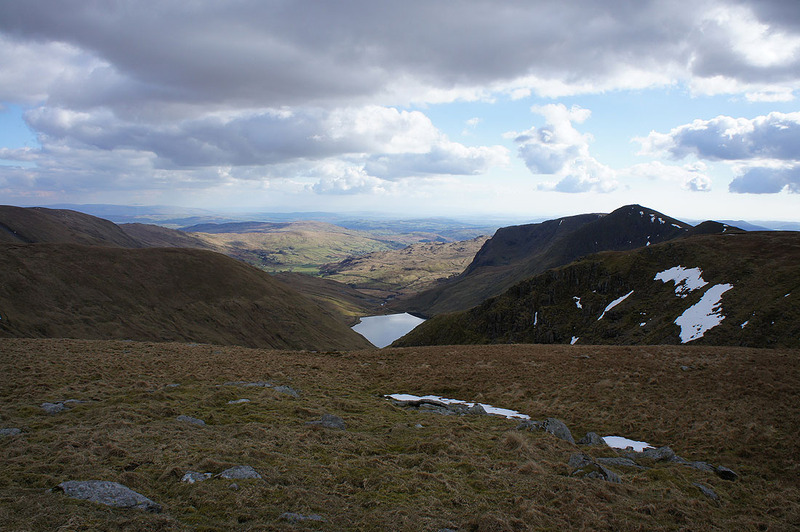 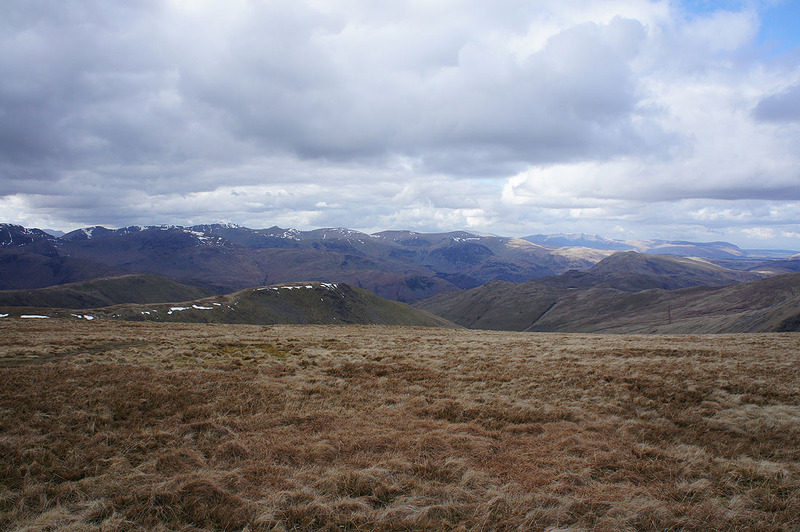 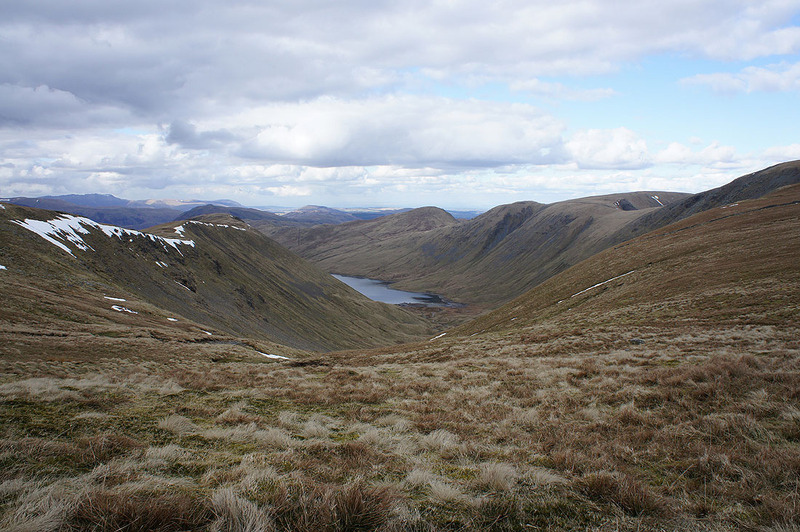 The far eastern fells was one part of the Lakes that I used to visit quite often. 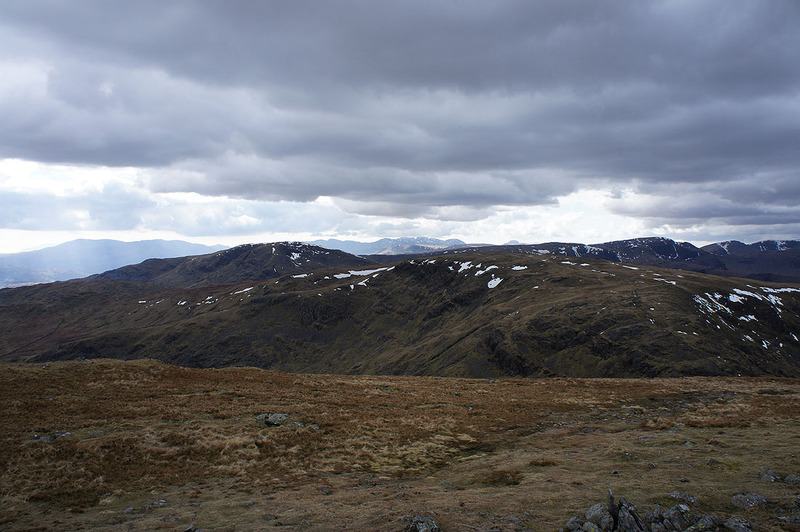 The day started out quite sunny, unfortunately cloud built up around the middle of the day so I lost the sunshine for a couple of hours but it did melt away as the afternoon wore on. 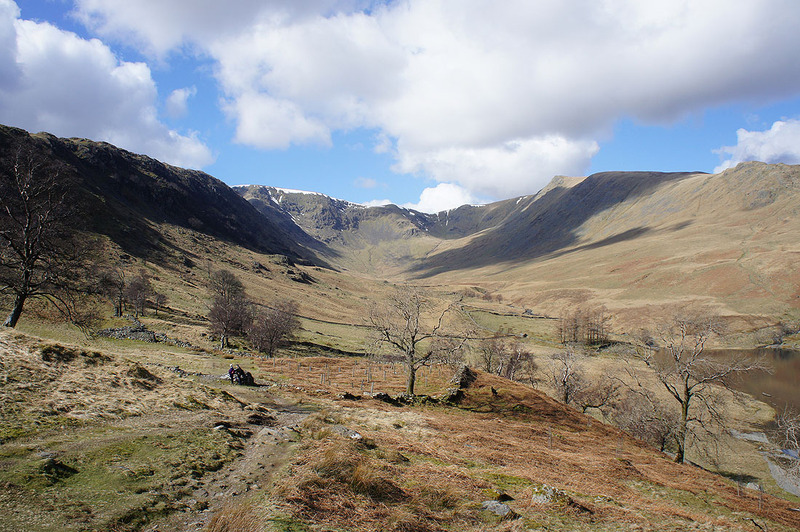 Before I started the walk I stopped in the layby at the bottom of the Old Corpse Road. 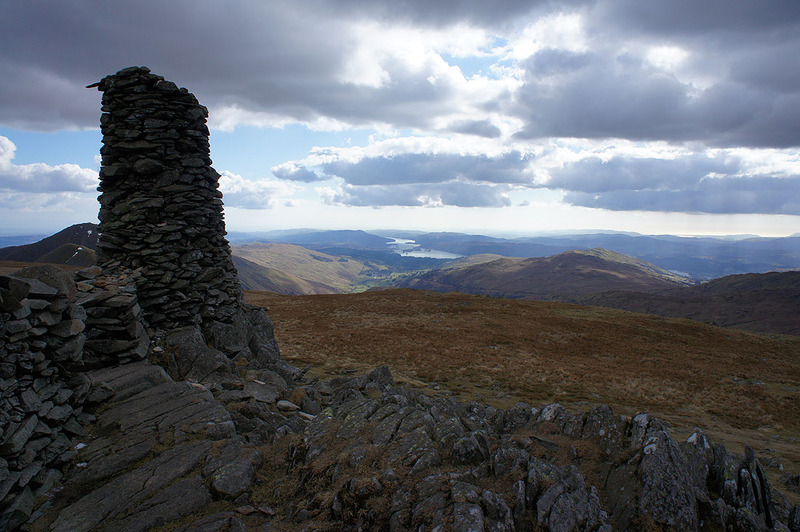 I decided that if the weather was looking good I'd take the trouble to head up to the first of the peat hut ruins to get a photo of one of the classic Lake District views. 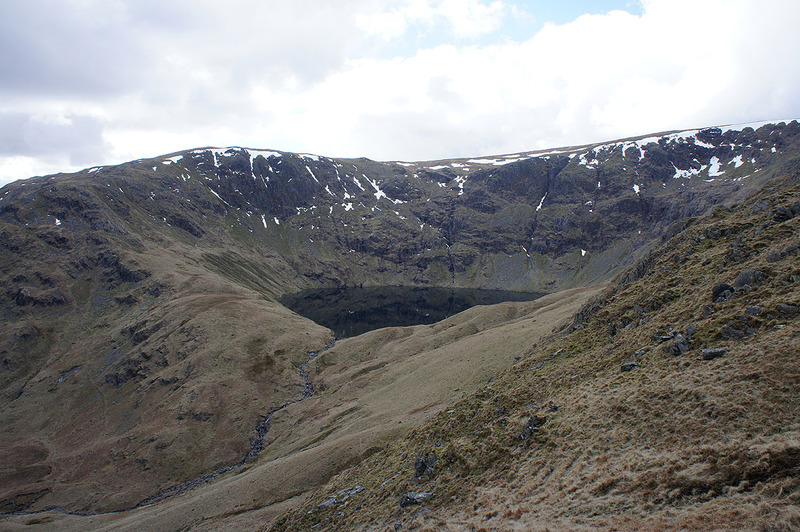 I wasn't disappointed. 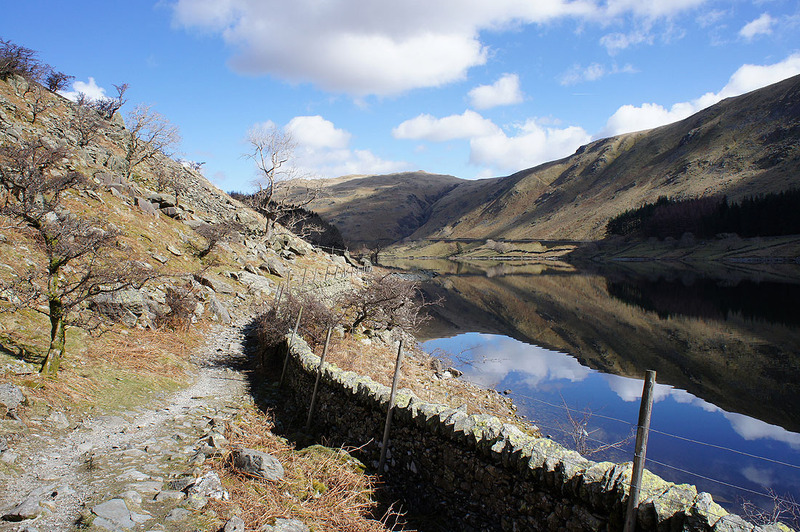 When I finally arrived at Mardale Head I set off by following the path round to The Rigg. 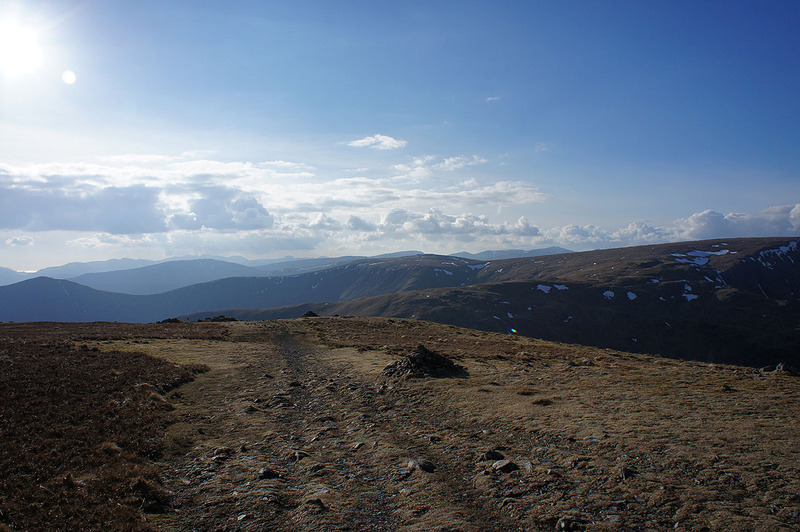 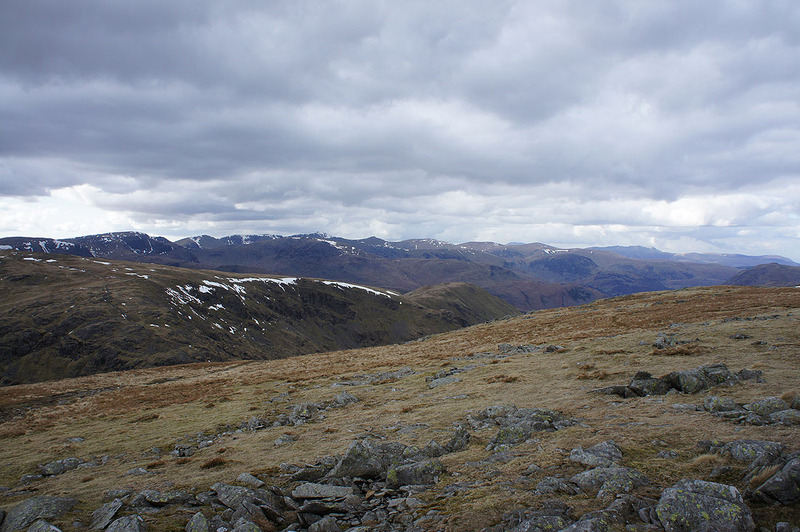 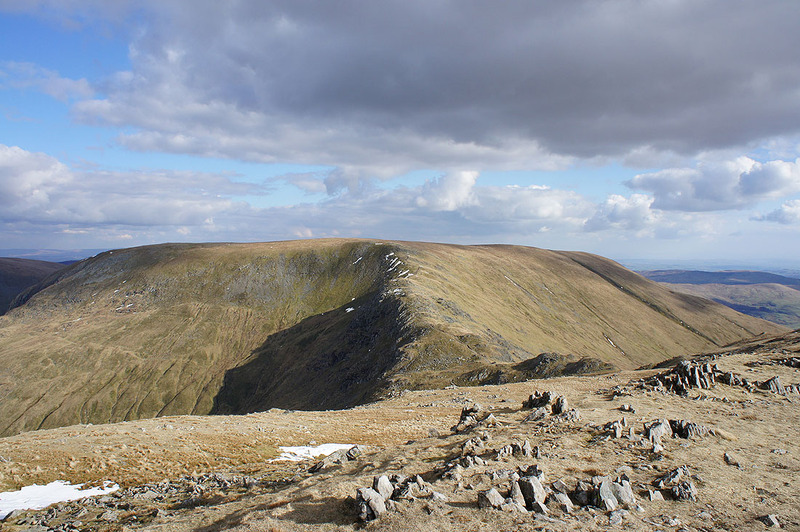 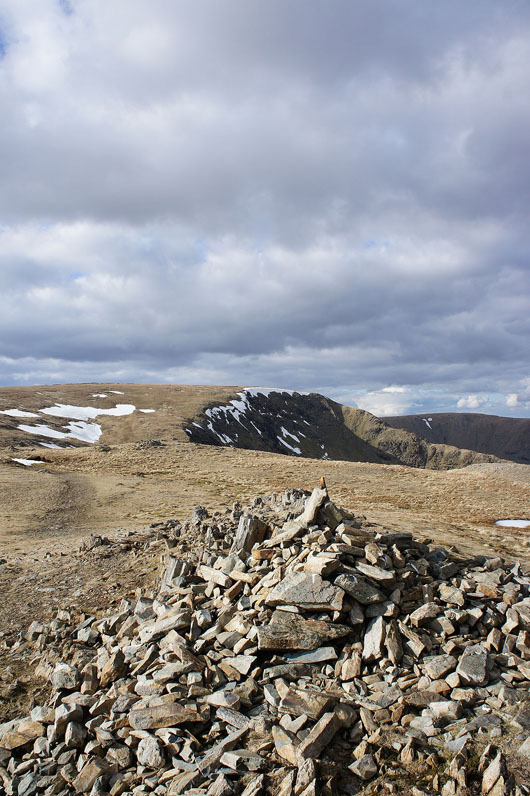 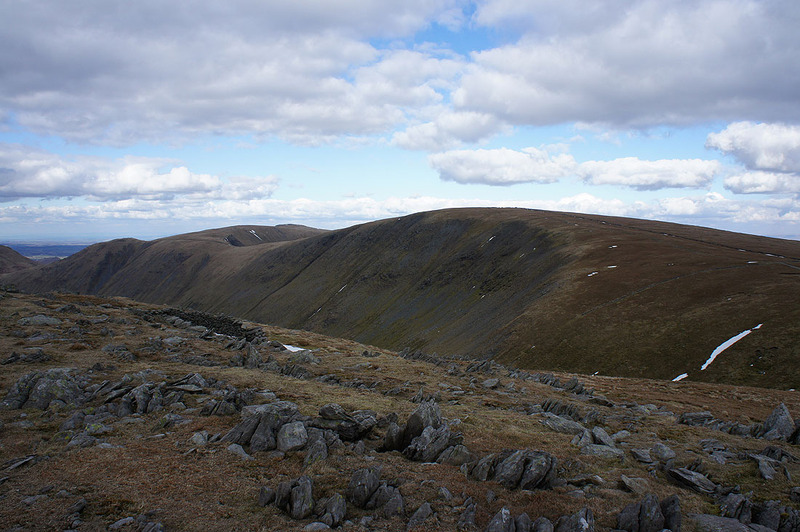 I then made my way up the ridge of Rough Crag to the summit of High Street. 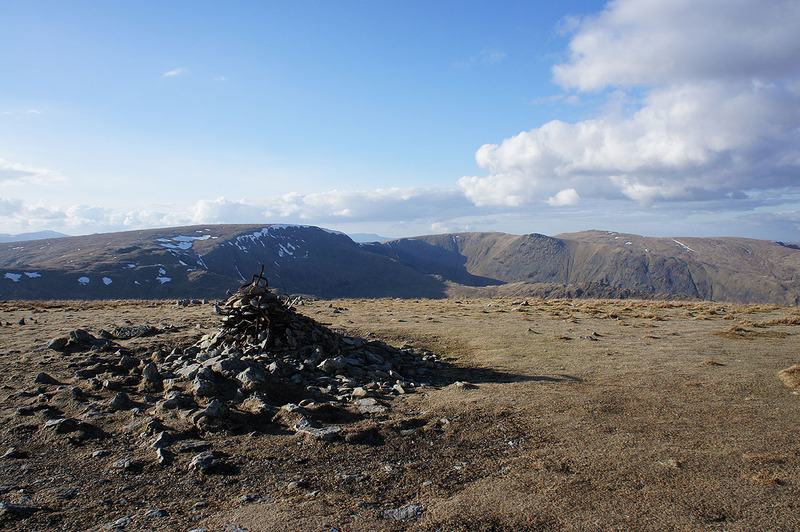 Next stop was Thornthwaite Crag, then across to Mardale Ill Bell before heading down to the Nan Bield Pass and up to the top of Harter Fell. 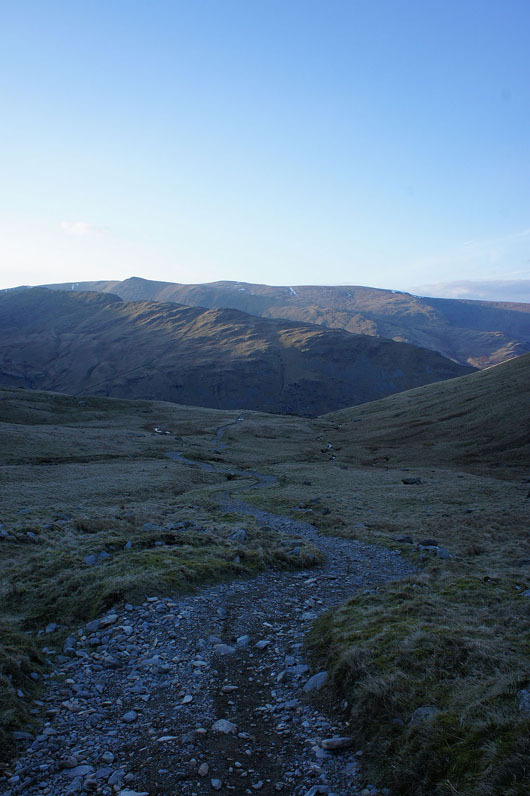 I then made my way down to the Gatescarth Pass for the final descent back to Mardale Head. 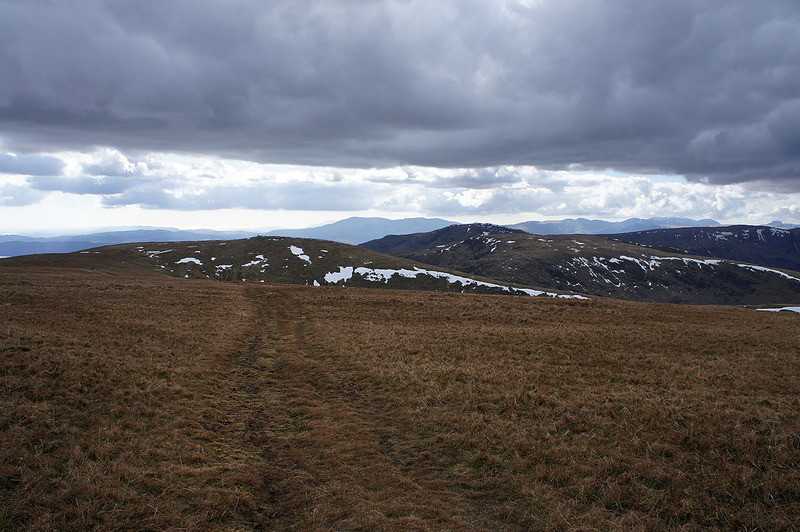 and this was the shot I was after. 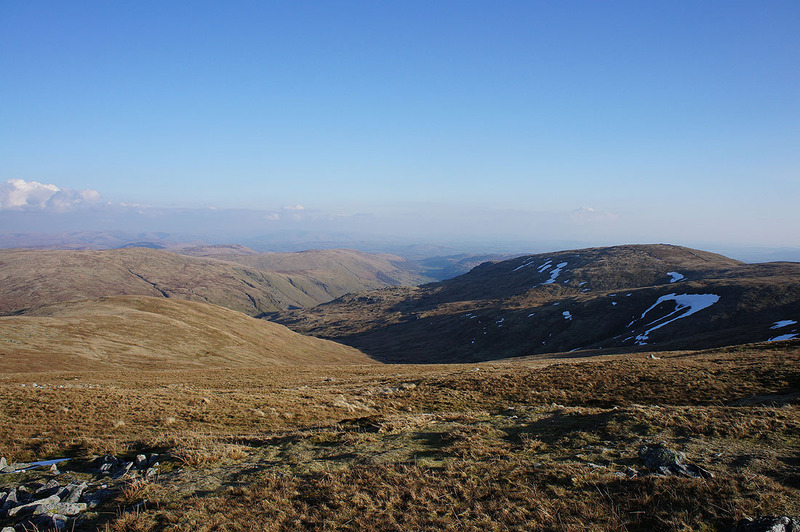 Taken from the first peat hut next to the Old Corpse Road. 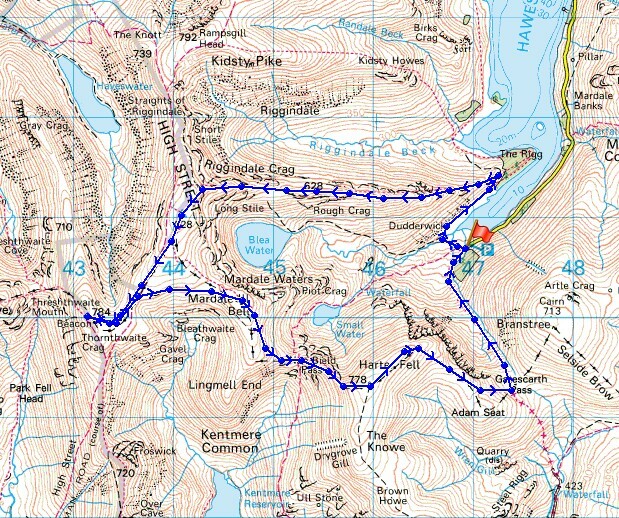 Time to get on with the walk. 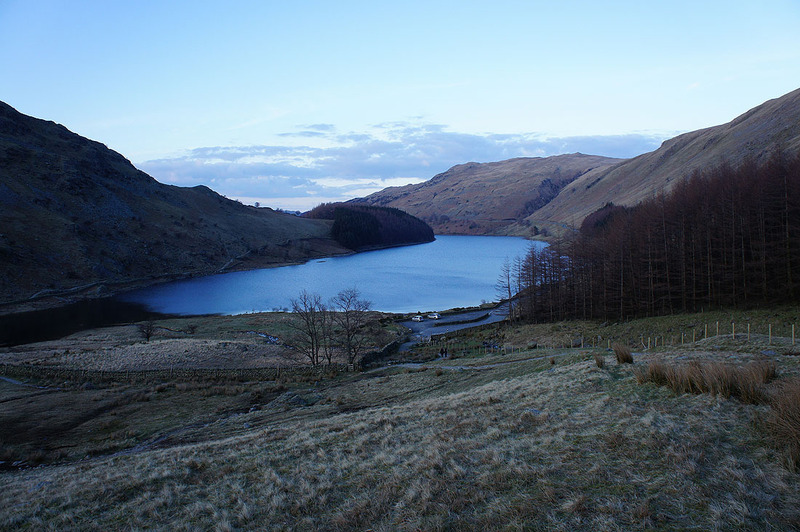 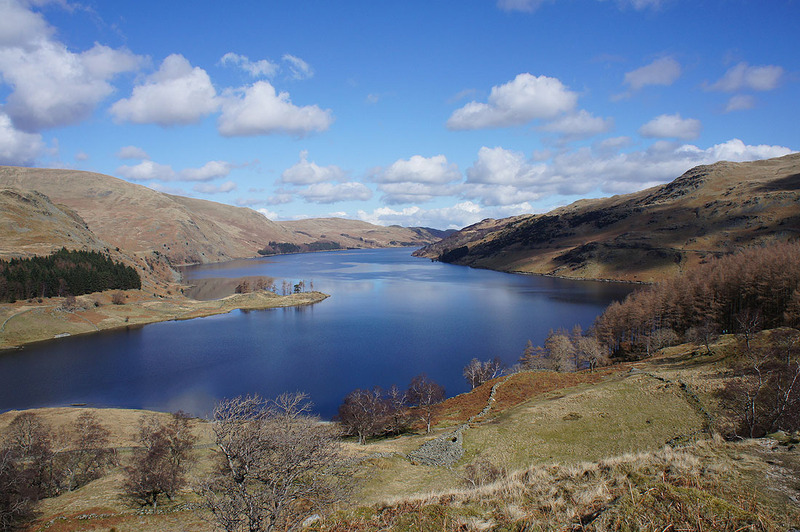 Haweswater is almost flat calm as I head for The Rigg. 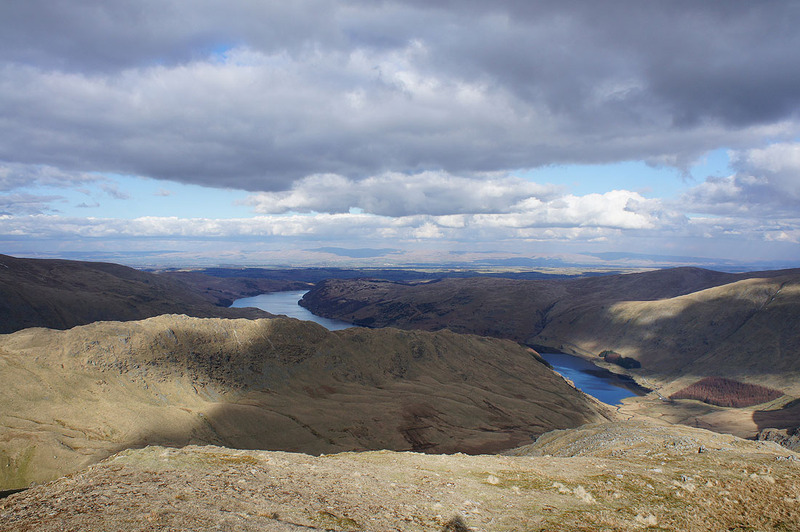 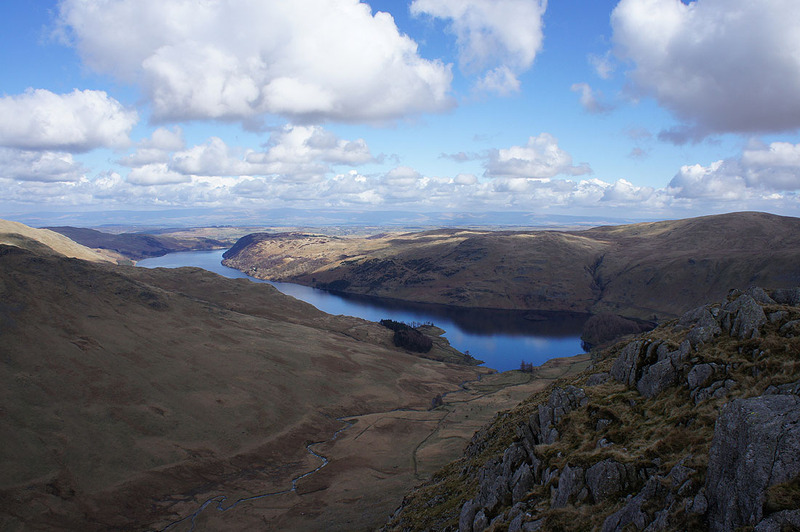 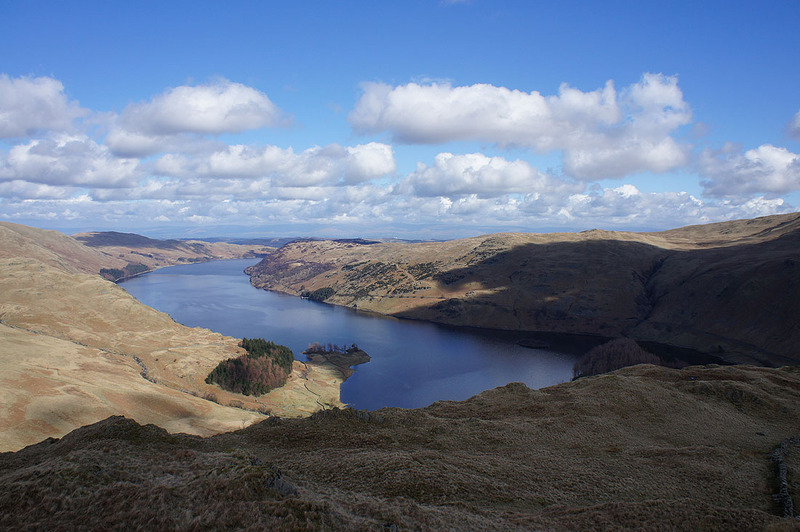 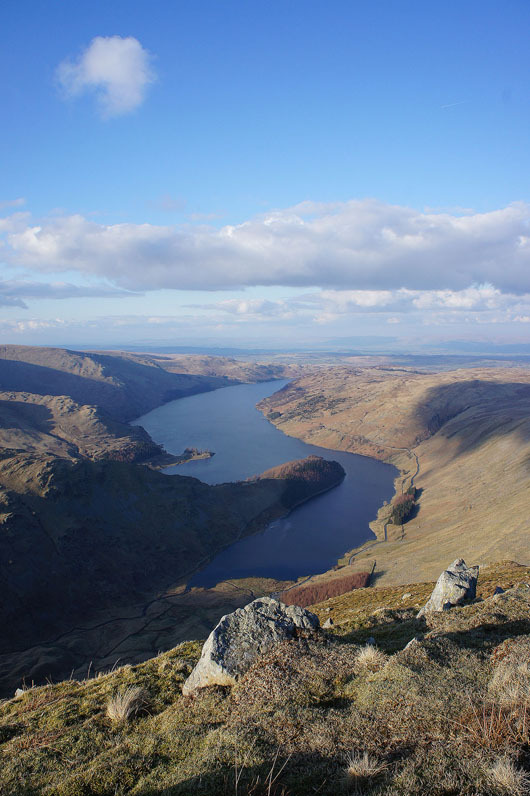 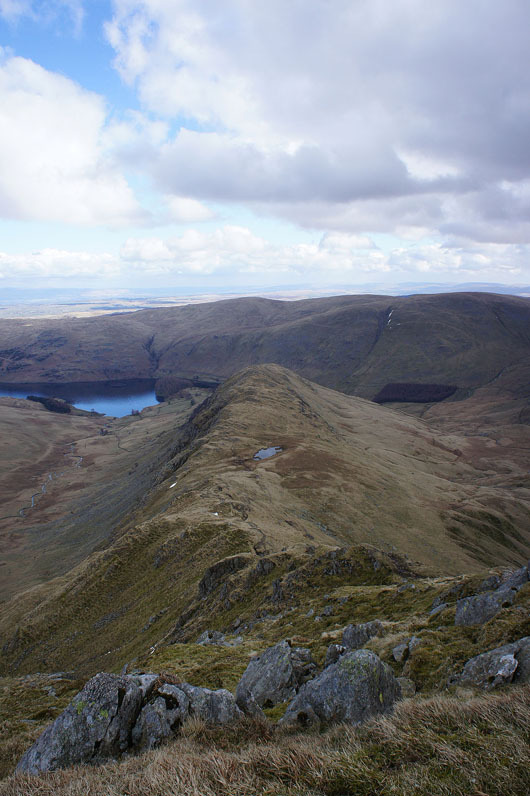 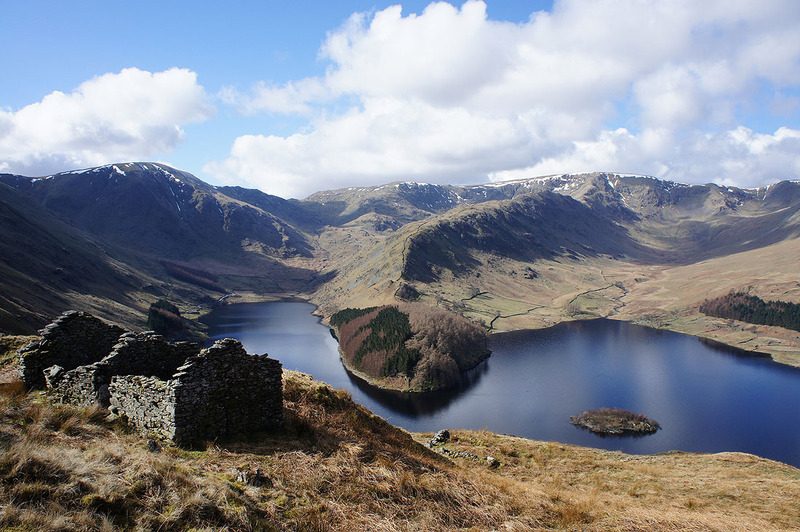 Changing aspects of Haweswater as I ascend the ridge to Rough Crag..
Big views from the summit of High Street. 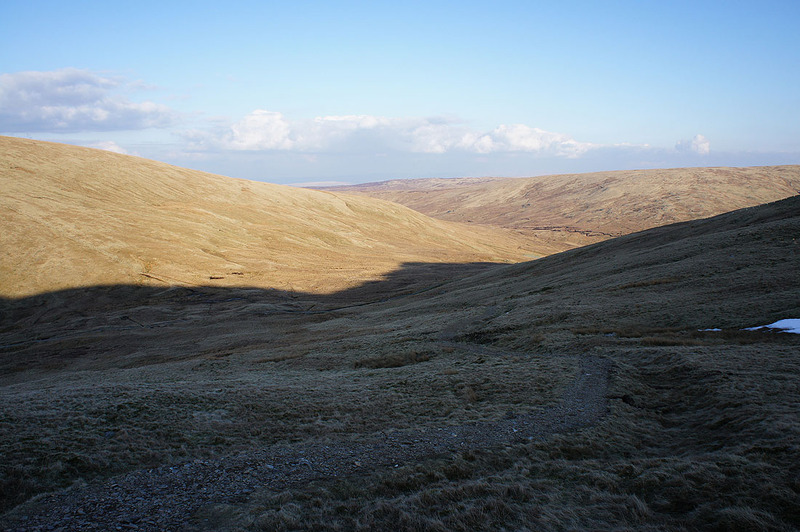 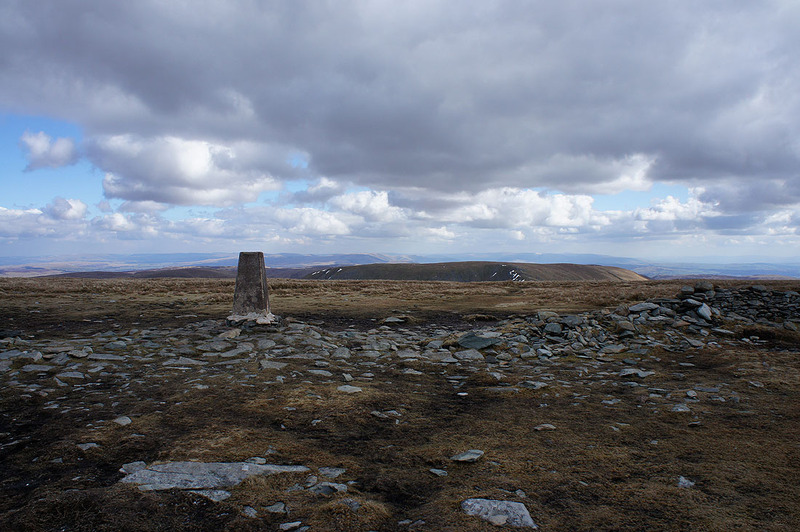 All the way to the Howgills and Ingleborough. 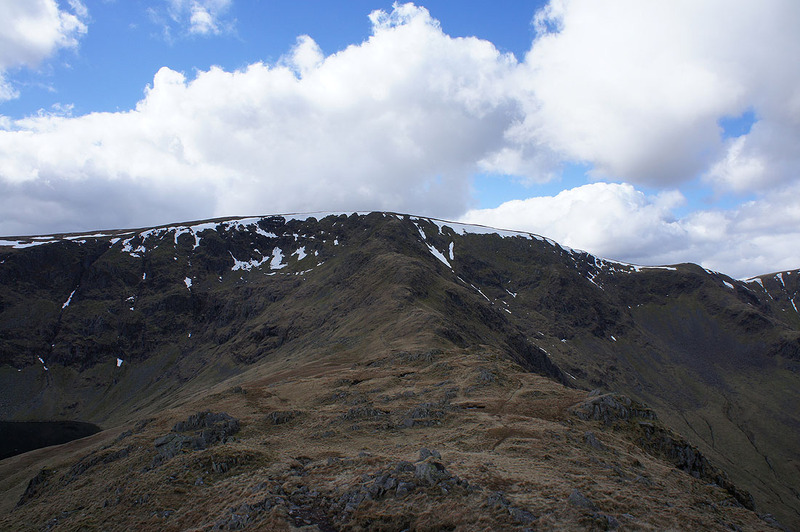 A couple of photos as I head for Mardale Ill Bell. 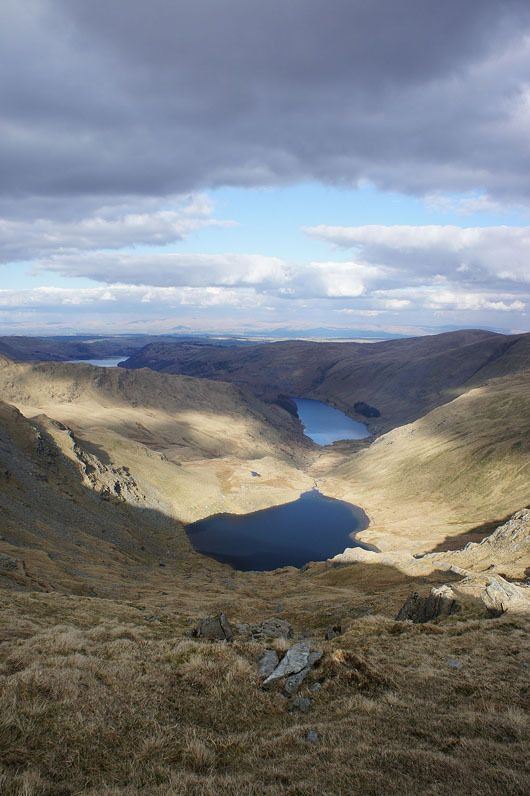 Sunshine on Kentmere and..
Great views as I reach the top of Harter Fell. 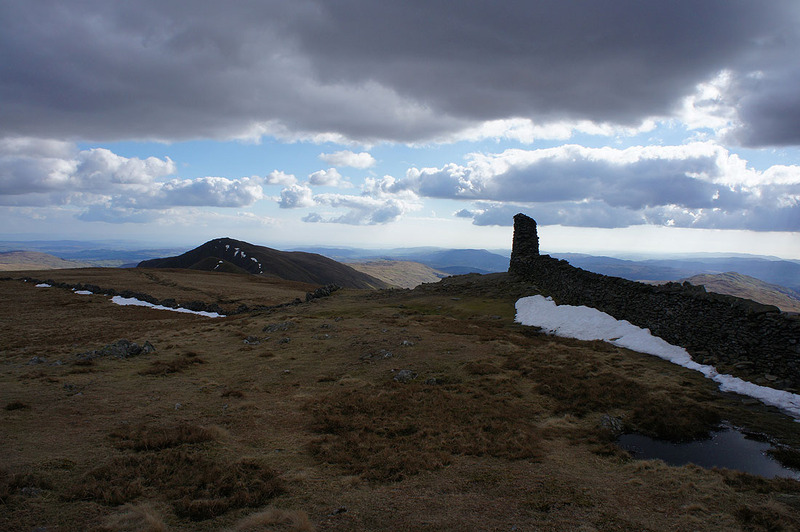 The cloud has been melting away during the past hour as it has gotten later into the afternoon. 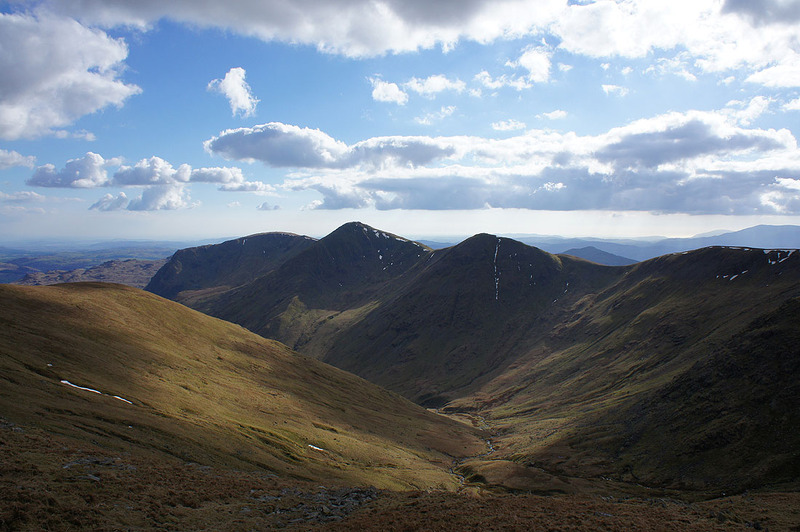 Looking past the Ill Bell ridge to the Coniston fells.